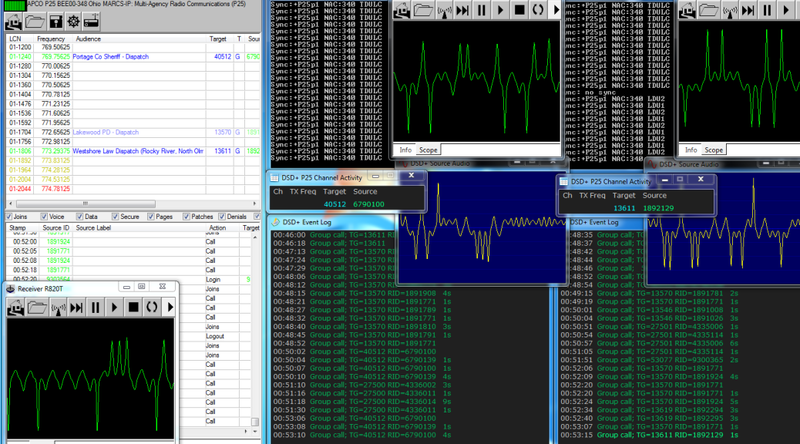 SDRSharp is an SDR program. 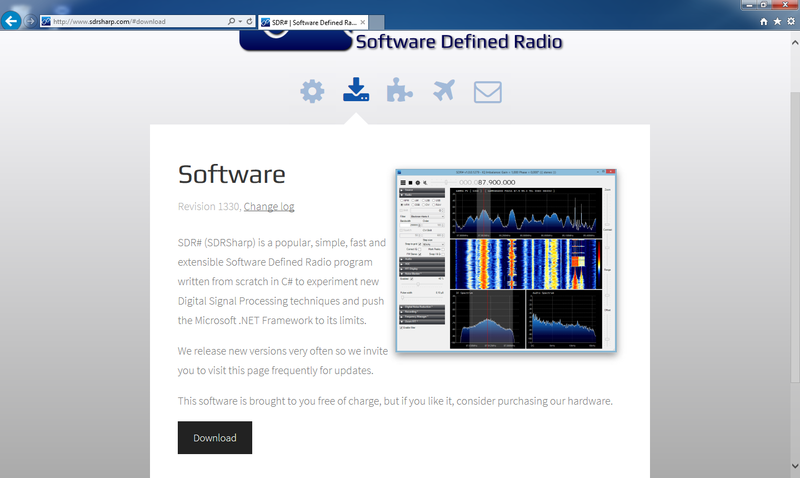 If you already have a recent version of SDRSharp, you can skip this section. This will be used for calibration and driver install. 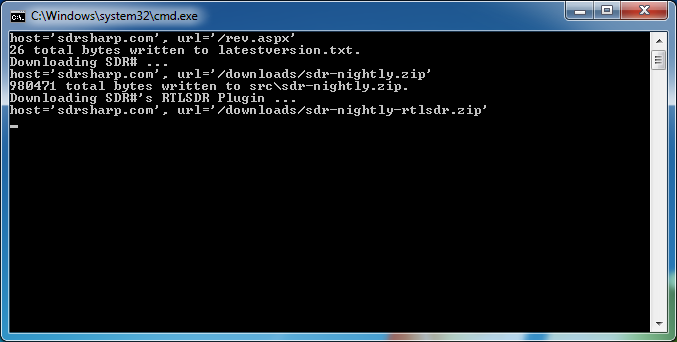 Click Download. Save it in your Downloads folder. 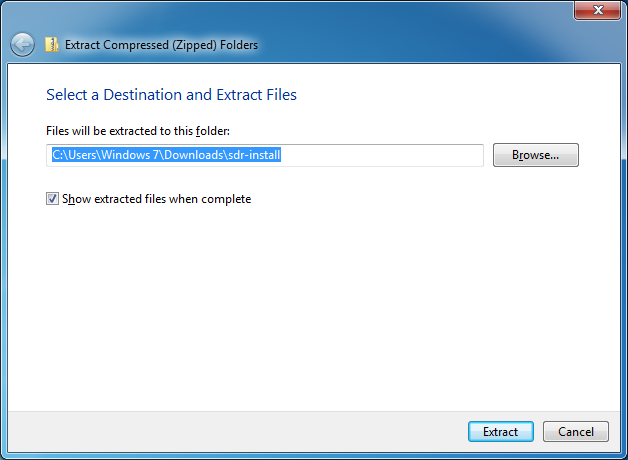 Extract the SDRSharp zip file using the Windows compressed folder utility or 7-Zip. 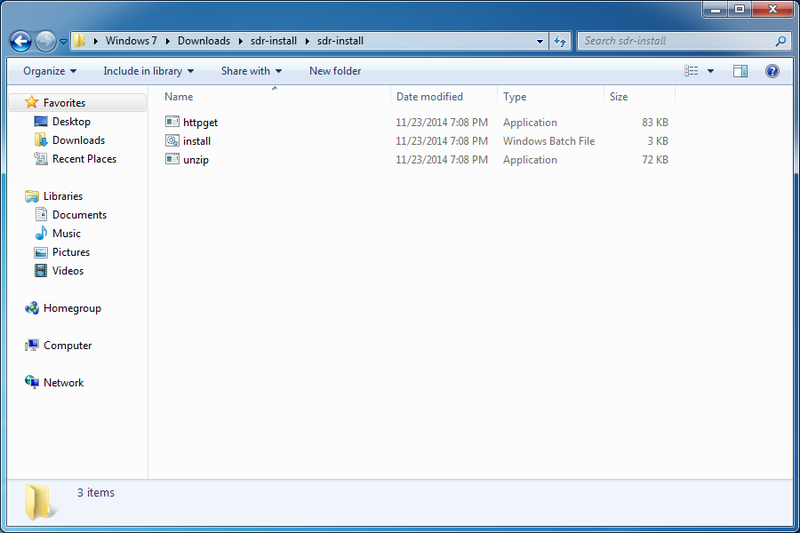 Right-click on the compressed folder and click Extract All. A new window will open. 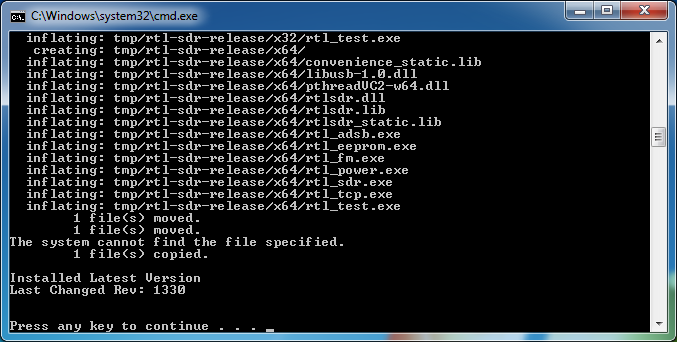 Double-click the sdr-install directory. 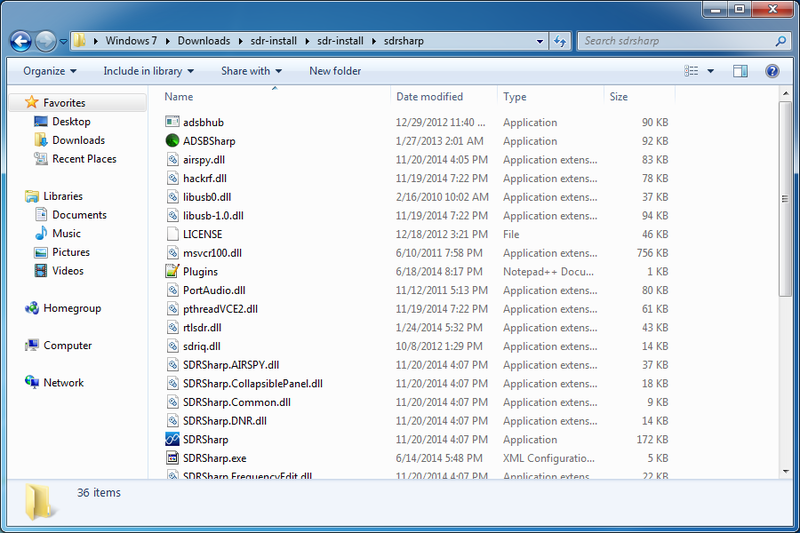 A DOS box will appear and SDRSharp will download. Once complete, Press any key to continue. The DOS box will disappear.